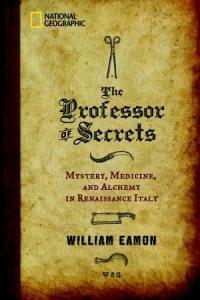 William Eamon is a widely published, internationally known and respected scholar based at New Mexico State University. His first book, Science and the Secrets of Nature: Books of Secrets in the Medieval and Early Modern Culture was nominated for a Pulitzer Prize in history and won the History Book Award from the Association of American Publishers. He is co-editor of the excellently reviewed Beyond the Black Legend: Spain and the Scientific Revolution.